Top row (left to right): Associate Justice Sonia Sotomayor, Associate Justice Stephen G. Breyer, Associate Justice Samuel A. Alito, and Associate Justice Elena Kagan. 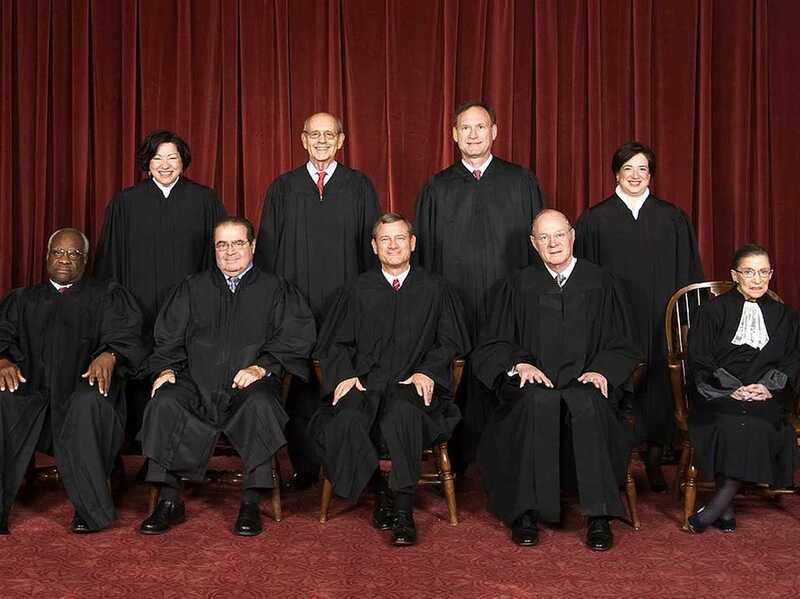 Bottom row (left to right): Associate Justice Clarence Thomas, Associate Justice Antonin Scalia, Chief Justice John G. Roberts, Associate Justice Anthony Kennedy, and Associate Justice Ruth Bader Ginsburg. Over the long term, the Supreme Court’s ruling Thursday on the Fair Housing Act (FHA) is potentially even more important than its Obamacare decision. There may not have been quite as much hand-wringing on the front pages about it, but it affects how and where many Americans will live, work, and go to school for generations into the future. In a victory for fair-housing advocates, the court ruled the FHA applies even when discrimination isn’t intentional. And in one line of the decision, which was written by Justice Anthony Kennedy, the court acknowledged one of the most pervasive and hidden forms of discrimination in our modern society. With this decision, America’s highest court has recognized that unconscious and structural discrimination is real and can be a civil rights violation. A policy doesn’t have to have “no black people allowed” stamped on the front of it in order for the courts to rule that it is a violation of the law. And that’s important, particularly because of the way that discrimination has evolved in this US. It’s no longer politically correct to talk openly about groups you don’t like. But that doesn’t mean discrimination has magically gone away. It just makes it harder to prove that it’s still here. Discriminatory talk is all but gone from (public portion of) the workplace and hiring decisions. Yet, when you count up the CEOs of Fortune 500 companies, fewer than 5% are female and fewer than 1% are black. Unconscious bias prevails. Today, the Supreme Court recognized that. The FHA decision on its face sort of seems like it’s in the weeds of wonkery. It revolves around something called “disparate-impact liability,” and it doesn’t help that its called Texas Department of Housing and Community Affairs v. Inclusive Communities Project. But it’s actually pretty straightforward. The main point is that the FHA allows prosecutors to sue for racist housing policies even if they can’t prove explicit racism. In other words, lawsuits about fair housing can be about the effect of a policy, regardless of intention. People still have a recourse to fight unspoken discrimination. In Thursday’s decision, the Supreme Court upheld the government’s right to sue someone for violations of the FHA if it can prove that 1) minorities were were in a similar situation to whites (similar incomes, etc) were treated differently, and 2) there were other policies available that would have been less discriminatory. And there’s no question there are racial disparities in the housing market. Nearly all of America’s major cities have racially segregated housing. It started as a conscious policy, with legal redlining policies in the mid-20th century. But long after redlining was cast aside, discrimination remains. Just last month, New York magazine excerpted DW Gibson’s new book on gentrification. In it, a landlord in Brooklyn admits he pushes out his black tenants. “If there’s a black tenant in the house —in every building we have, I put in white tenants. They want to know if black people are going to be living there,” he says. If you sought to advantage one group of Americans and disadvantage another, you could scarcely choose a more graceful method than housing discrimination. Housing determines access to transportation, green spaces, decent schools, decent food, decent jobs, and decent services. 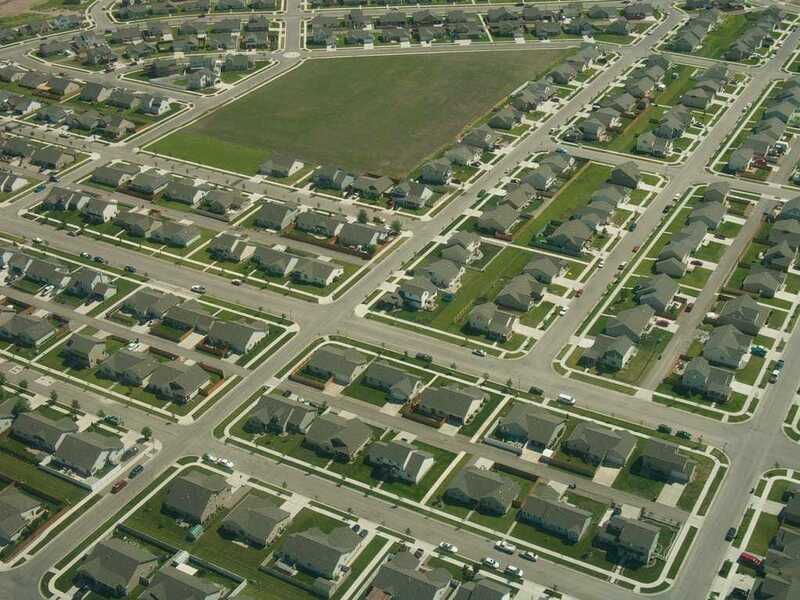 Housing affects your chances of being robbed and shot as well as your chances of being stopped and frisked. And housing discrimination is as quiet as it is deadly. It can be pursued through violence and terrorism, but it doesn’t need it. Housing discrimination is hard to detect, hard to prove, and hard to prosecute. When discussing all of the impacts of housing discrimination — all the things that Coates mentions: schools, green spaces, policing, food, jobs — all that matters is that it exists, not how we got there. Housing has a larger effect on how a person perceives the world around them than almost anything save consciousness itself. It’s important that a person’s right to housing options without bias be protected.